The long serving Coxswain / Mechanic at Lytham St Annes Lifeboat Station, Martin Jaggs, is to leave at the end of December 2015. Martin, who has held the dual roles of Coxswain and Station Mechanic since 1999, joined the volunteer lifeboat crew in 1988 and quickly progressed to become 2nd Assistant Mechanic four years later due to his skills as a motor mechanic. 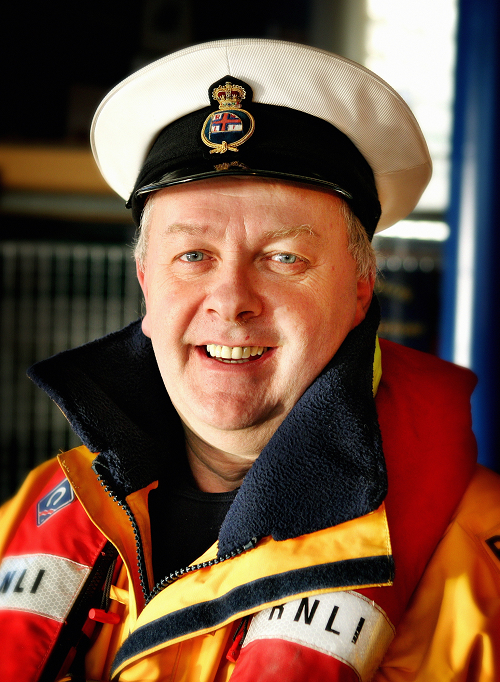 With the retirement of 2nd Coxswain / Mechanic Tony West in 1995, Martin was promoted to take his place thus becoming the station’s one full time employee, all the rest being volunteers. As Mechanic, Martin was in charge of maintaining all the station’s boats, vehicles and equipment as well as the boathouse- a full time employed position due to the large amount of complex and highly skilled work involved. His appointment as Coxswain, in itself a volunteer position, meant that he was not only in command of the lifeboat when she was at sea but had many other commitments regarding the welfare of the crew and dealing with the general public as a senior representative of the station. One of the first tasks he was faced with immediately after his appointment was the trials and subsequent change over from the permanently afloat lifeboat moored in the river off Seafield Road, to the carriage launched lifeboat with all the resulting extra work and training that involved for the whole station. Martin had to oversee and guide the crew and ably lead the training to maintain the station’s efficiency throughout the changeover. As well as the day to day running of the station, Martin also involved himself with the sea charity’s fund raising as the RNLI relies on totally on voluntary contributions from the general public to fund its rescue service. Martin is leaving to take up his new role of Division Operations Manager (DOM) (formerly called Inspector) of the new England Central Division of the RNLI from the 1st January 2016. He will be in overall charge of 11 Lifeboat stations from Lytham to Barrow on the West Coast and from the Humber to Scarborough on the East Coast. While he will be sadly missed, he will still be living in Lytham and be making regular visits to the Station in his new role. Replacing Martin at Lytham St Annes as Coxswain from 1st January 2016 will be the current Deputy 2nd Coxswain / 2nd Mechanic Gary Bird. Gary joined the Lytham St Annes crew in 2004, becoming 2nd Mechanic later that year and Deputy 2nd Coxswain / 2nd Mechanic in 2006. Gary’s experience goes back further than that however as he originally joined the lifeboat crew in his home town of Hoylake in 1974, progressing through the ranks to become 2nd Coxswain / 2nd Mechanic until he moved to Lytham in 2004. Gary has also spent 10 years on the West Kirby Inshore Lifeboat Crew after joining in 1978, Hoylake and West Kirby being close enough to work both stations in tandem if required. 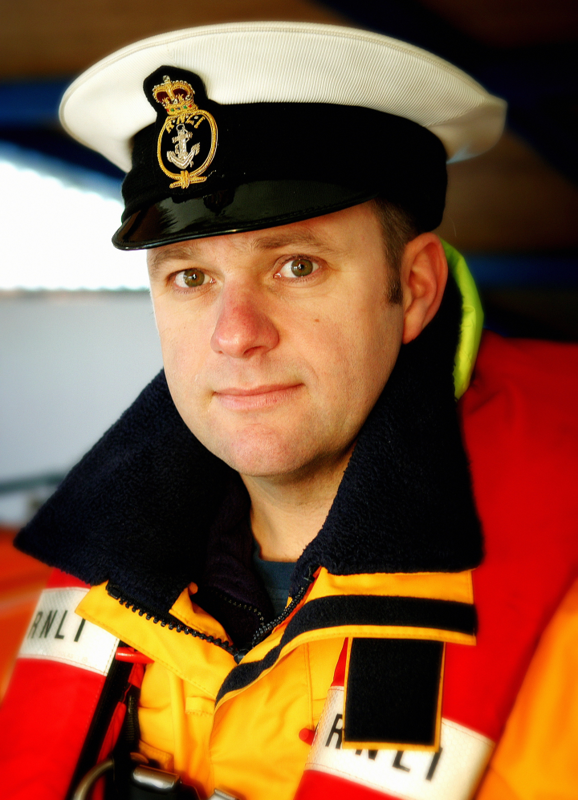 Gary is employed by the RNLI as an assessor, travelling round stations to check and standardise their training procedures and give advice and further training if necessary. Martin’s other role as Station Mechanic will be covered on a temporary basis by Lytham’s Ben McGarry until formal interviews have been carried out in the next month. Ben works for the RNLI as a relief Mechanic and is also involved with trials work for the RNLI at various stations round the UK and Republic of Ireland.